So empanadas eh? I can eat a couple. Especially if they're from Jumbo Empanadas in Kensington market. I'm a sucker for proletariat cuisine and while I suspect there were more than a few empanadas enjoyed by jackbooted pro-Pinochet goons, (no doubt gleefully munching away in the backs of flat-beds while dragging their victims behind) Jumbo's heart warming success story is as delicious as the food--although the name's a bit misleading and the creepy mascot's definitely gotta go. 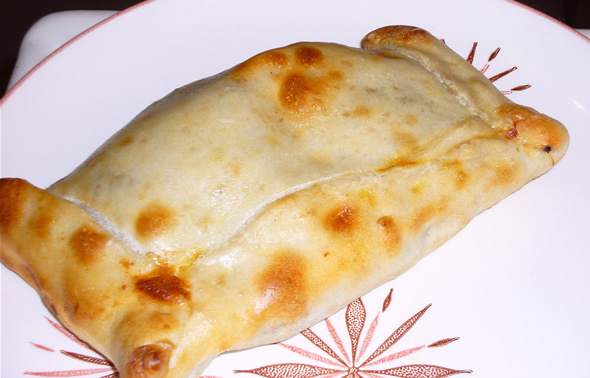 So let's shelve Irene Morales' empanadas for a minute. Sure the cheese variety ($1.99 each) is a gooey deep fried pocket of creamy, runny goodness elevated to a state of perfection with a liberal dab of house made pico di gallo aji; sure the beef's a personal fave ($3.99 each): light and crispy, stuffed with more variety, more smoky raisin-and-olive beefy tomato-ey goodness and more pure, head exploding flavour craziness than an entire week's worth of American Idol auditions. Deelish. Nothing like a surprise hardboiled egg hidden inside. But c'mon, are you living under a rock? Who doesn't know about how amazing these things are? And if empanadas are where things ended, Toronto'd be better for it. But all the food at Jumbo is a deliriously joyous spiced Chilean tongue-twister of sweet and savoury that'll work your taste buds into a froth. 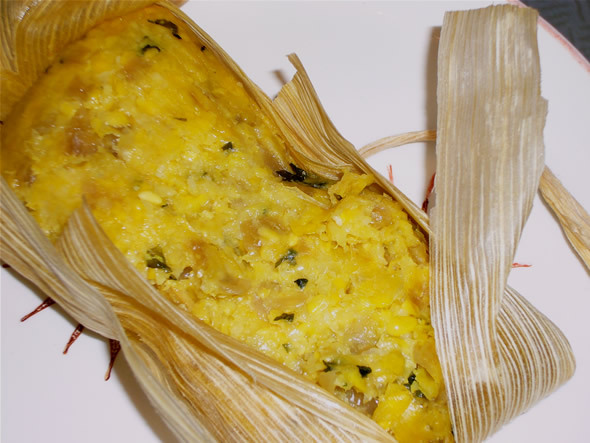 Humitas ($3.99 each), Chilean tamales stuffed with a wicked combo of sweet, creamed corn and a hit of licoricey basil and onion that'll have you scraping the husk with a spoon to salvage every last bite. 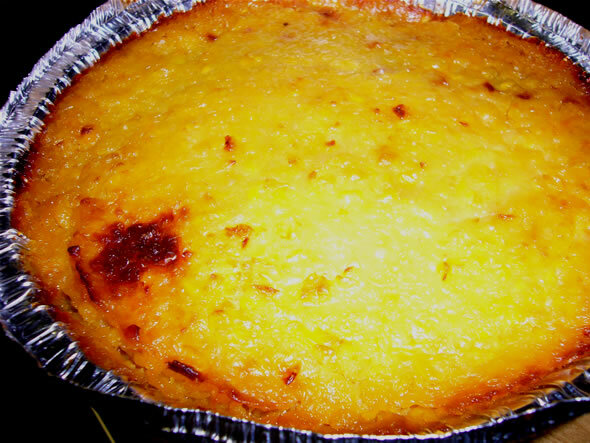 Bring your friends cos the $8 corn pie (noticing a theme?) is a layered affair: thick creamed corn topping hiding a dark moorish conspiracy of egg, beef, olives raisins and tender threads of chicken thigh with tastes and textures that'll remind you of a Moroccan pastilla minus the pastry (and the pigeon, natch). Yes folks, there's more to Jumbo than empanadas and this shop's an excellent intro to the joys of Latin American cuisine. Good street food in Kensington? Who would've thought?